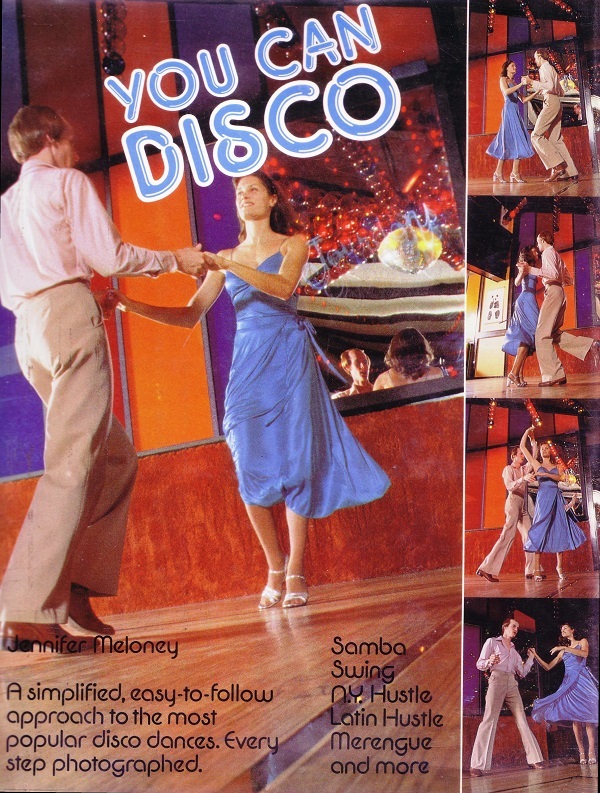 Submitter: Will Disco Ever Die? Found this in the children’s books and it’s kept me laughing for several days so maybe we should keep it – recataloged under Humor. Tap disco???? Who would be able to hear the tapping in a noisy disco??! 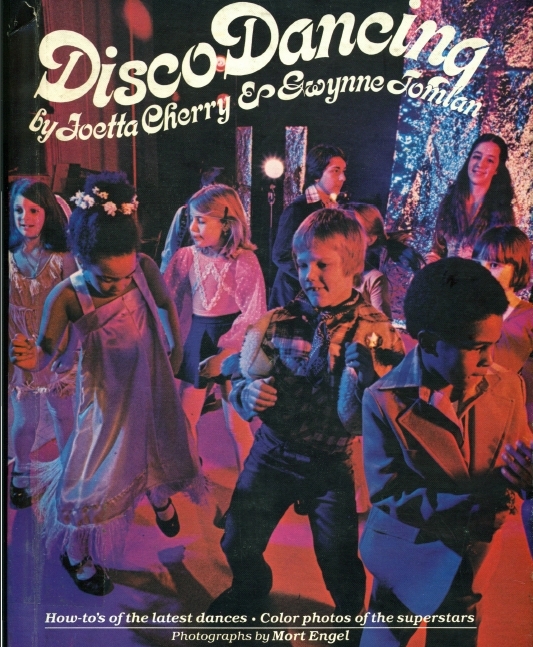 I bet disco dancing classes for kids would be a hit today. 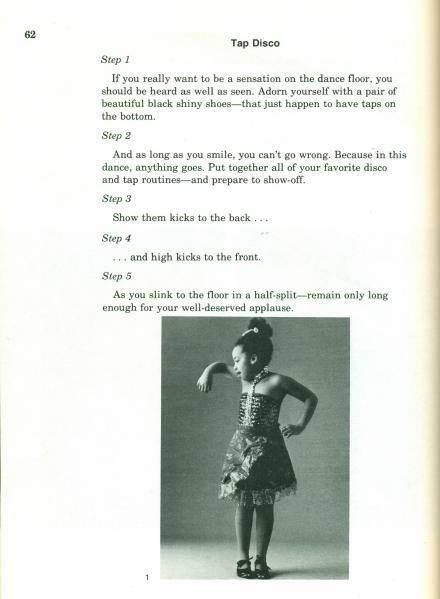 Tap disco is the whole premise of one of the late Gregory Hines’ movies. Very cute, but I don’t know how well it would go over in today’s clubs. Disco shall never die! Anything is better then listening to Lady Gaga or Rebecca Black, after all. 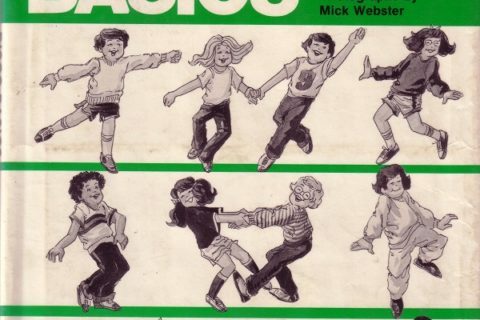 I wish I could be as groovy as those kids. “Color photos of the superstars” Huh? 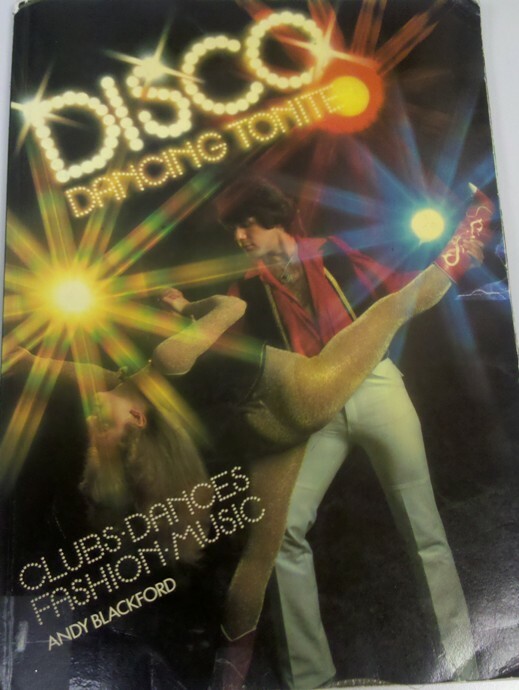 Superstars of disco dancing? So there you have it. 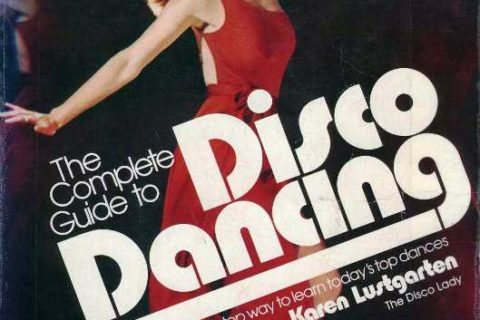 Disco rules! Rap drools! Disco is not the answer. @Lurker – Disco is a better answer than Justin Bieber! I love that little girl’s dress. I would buy a dress like that for my daughter. It’s Rhianna when she first started her showbiz career. “The Searchers” is a better movie than “Final Destination 5”. Therefore, westerns rule and horror drools! And I’d rather listen to Lady Gaga and Justin Bieber (both very popular with my daughters) than disco. And so are many other things, past and current. Bad contemporary music does not justify bad historical music, or books (unless your patrons need/want them). They really are cute, though, aren’t they? You can just hear “Stayin’ Alive” looking at that cover photo. That font is Disco Script if I’ve ever seen it.